Take 8-10 cubes of Ice, add all the above ingredients to the mixer and blend it. Your Buttermilk Aloe Punch is ready, garnish it with Mint leaves, soaked boondi and roasted cumin seeds. As we know Buttermilk is low on fat and is very good in keeping the stomach Calm , prevents dehydration, is good on calcium ,aids digestion etc. 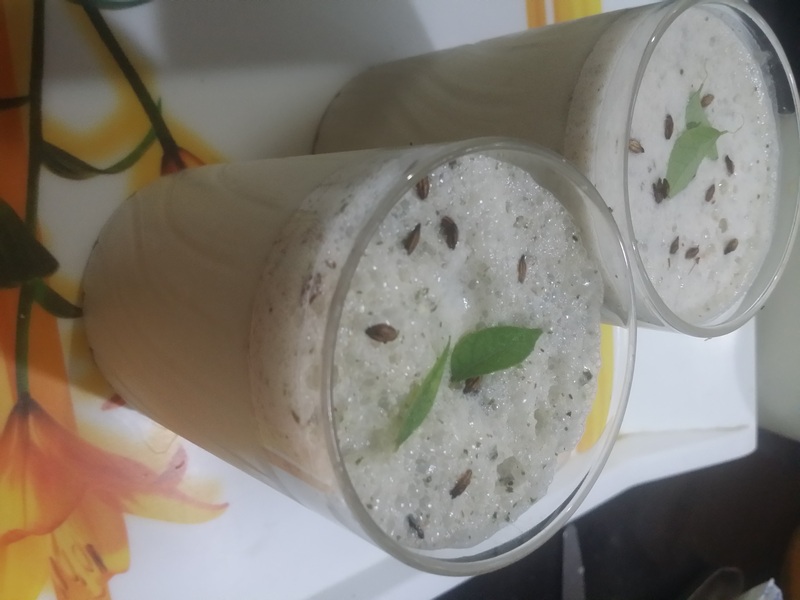 This Health drink is a perfect pick for summers and it can be taken any time of the day or with any meal. Aloe is known for its medicinal properties and thus this combination is a perfect pick to keep your body Calm and have a Super Special Health Drink this Summer. You may add or remove any item as per your taste. Leave a comment on how you tried it..
Love the ingredients in this healthful drinks. I use my aloe plants occasionally and love it, but this is really an original recipe. Thanks a lot for your motivation comment ….